It's a stylish gift that can be used everyday! Stainless steel is also a suggested gift material for an 11th Anniversary. So it's particularly meaningful for that occasion. This strong design makes it striking jewelry. But it also can be used as a glasses holder. This Triple Twist Glasses Holder, is cast in tough Stainless Steel. 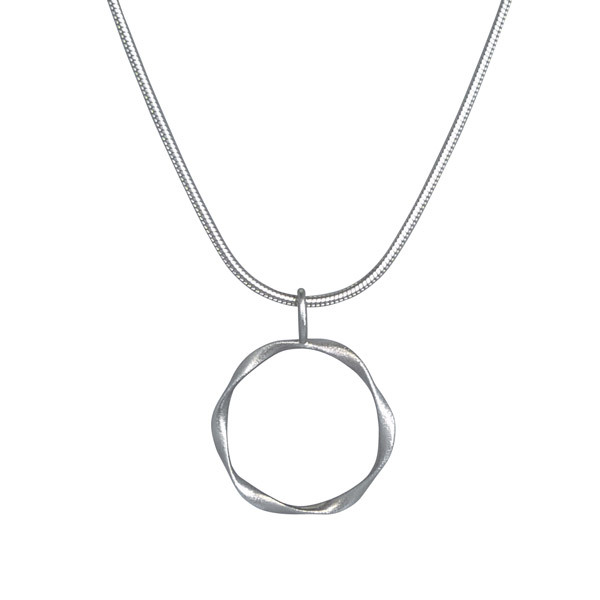 And comes with a matching stainless steel chain. The Triple Twist is an original design, copyrighted by Richard W Berman. It's only available at Architects Touch!